When NASA launches its next mission on the journey to Mars – a stationary lander in 2016 – the flight will include two CubeSats. This will be the first time CubeSats have flown in deep space. If this flyby demonstration is successful, the technology will provide NASA the ability to quickly transmit status information about the main spacecraft after it lands on Mars. 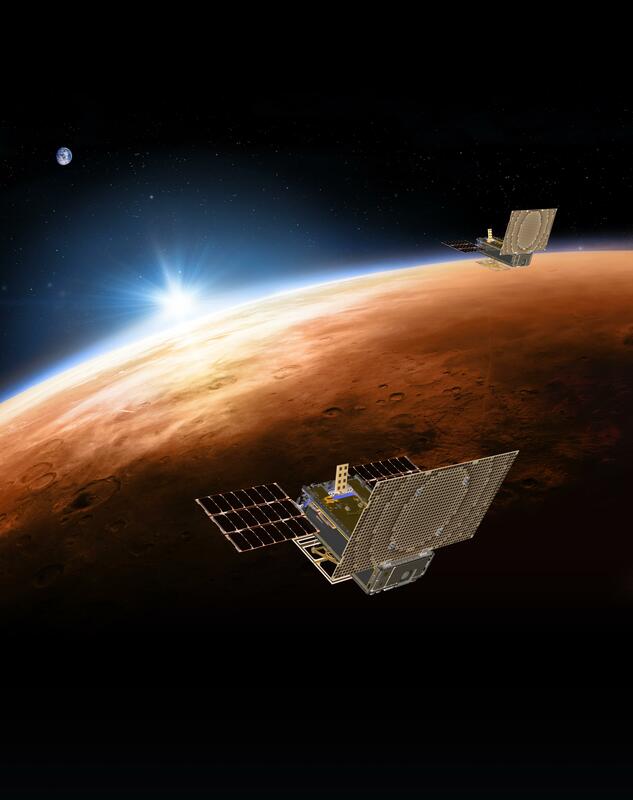 The twin communications-relay CubeSats, being built by NASA’s Jet Propulsion Laboratory, Pasadena, California, constitute a technology demonstration called Mars Cube One (MarCO). CubeSats are a class of spacecraft based on a standardized small size and modular use of off-the-shelf technologies. Many have been made by university students, and dozens have been launched into Earth orbit using extra payload mass available on launches of larger spacecraft. We take the Internet and constant connectivity for granted on Earth, but once you take a step into space, things start to get a lot less broadband, and a lot more dial-up. 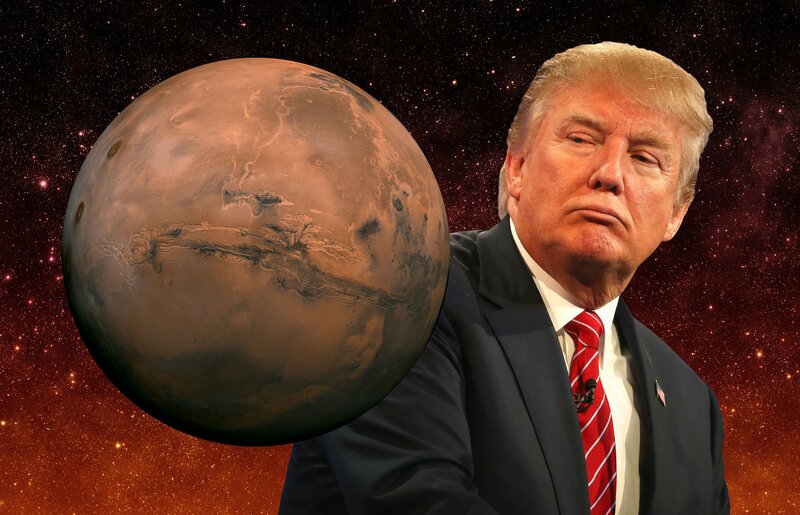 So as we look into our future, when we have human settlements on Mars, will there be a Mars Internet or “Marsnet”? These questions have been asked by SpaceX founder Elon Musk and he has announced plans to boost connectivity in space, potentially partnering with Google. But this isn’t just about ensuring future Mars colonists can access their Netflix accounts; like most space endeavors, an off-world Internet infrastructure would have huge benefits to our daily lives on Earth. “Our focus is on creating a global communications system that would be larger than anything that has been talked about to date,” Musk said in an interview with Bloomberg Businessweek before his announcement on Friday about establishing a SpaceX office in Seattle, Washington. We live in a chaos of electromagnetic energy. Visible, infrared and ultraviolet light courses omnidirectionally from the sun. A fraction of it bathes our planet, while some bounces off other planets, moons, comets and meteoroids. The visible light from stars up to 4,000 light-years away can be seen from Earth with the naked eye. With instruments, astronomers can detect gamma rays from stars 13 billion light-years away. Radio waves from remote galaxies help Earth’s official timekeepers monitor our planet’s path around the sun. Once per day, a minuscule stream of radio waves joins this cacophony, making the 13.8-minute trip from an antenna on Earth to an SUV-size machine parked on the surface of Mars. Those short-lived waves represent our way — our only way — of communicating with Curiosity, the rover that NASA landed on Mars in August. NASA’s Desert Research and Technology Studies (RATS) team has commenced testing communication scenarios for near-Earth asteroids. The RATS team also is evaluates technology, human-robotic systems and extravehicular equipment in the high desert near Flagstaff, Arizona. Field testing provides a knowledge base that helps scientists and engineers design, build and operate better equipment, and establish requirements for operations and procedures. The Arizona desert has a rough, dusty terrain and extreme temperature swings that simulate conditions that may be encountered on other surfaces in space. As cameras technology has allowed us to increase the resolution of the images we capture and video we watch, so has the bandwidth required to transfer that imagery. In space, the amount of data that can be sent is currently limited due to the radio frequency (RF) systems being relied upon. NASA is trying to fix that limitation by testing a new communications system called a Laser Communication Relay (LCR). LCR is a desirable replacement because the optical/laser communication system (lasercom) allows for much higher data transfer rates while retaining the same size, weight and power requirements of existing RF systems. What that also means is a smaller optical system can still transmit at a decent data rate too, but save on power, weight, and size on board a satellite. The difference in data rates is quoted as being as much as 100x that of existing RF systems and is the equivalent of trying to transfer data over broadband compared to Wi-Fi. The example NASA gives is the Mars Reconnaissance Orbiter (MRO) which manages a 6Mbps data rate. The lasercom system would increase that to 100Mbps, meaning a high resolution image would arrive on Earth in 5 minutes rather than the current 90 minutes MRO takes.